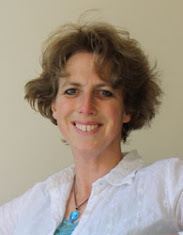 I love the Hay Festival...the setting at the edge of the mountains...the relaxed atmosphere....the banana and peanut butter ice-cream (try it!)... 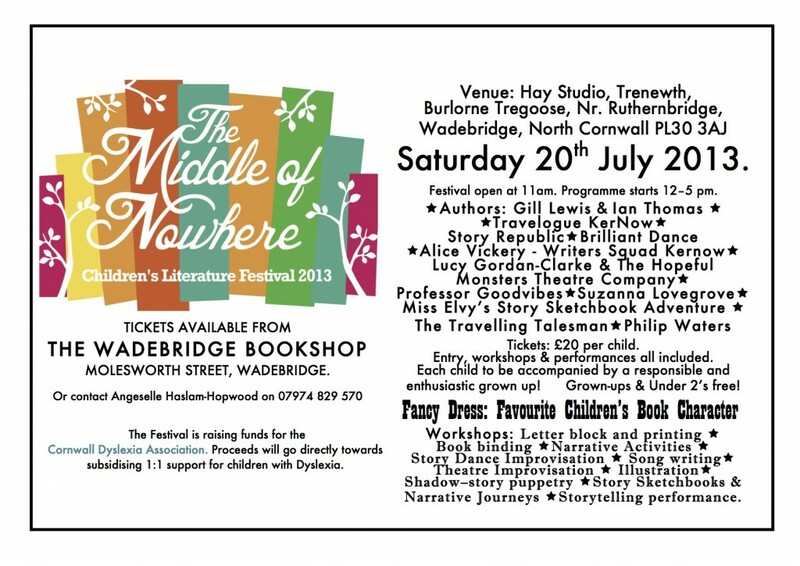 the array of speakers and activities and music...I could go on and on....so I was delighted to be invited back again and even more so, to share an event with the fabulous Nicola Davies who was talking about dangerous animals and also reading from her book, The Lion Who Stole My Arm. 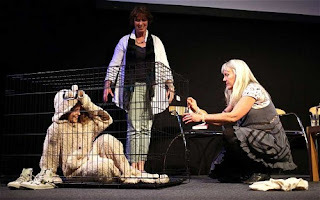 *putting a child in a cage was debated before the Hay Festival...however I had no shortage of volunteers! And then on...from an international festival to a first time festival in the middle of nowhere. Set in the heart of the Ruthern Valley amidst ancient oak woodlands and meadows, the festival provided entertainment in marquees, from printmaking, shadow puppet theatre, comedy, illustrator workshops, book talks...it was a fun packed day, with amazing food, especially from Wild Bake, the stone-baked pizzas from a horse-box! 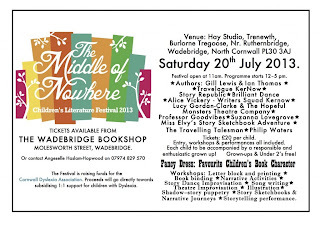 If you're in Hay or Cornwall with children next year...don't miss out on these fab festivals!